John and Maureen Robinson were out on a mission by themselves the next day. Dr. Smith discovered that the planet had a strange orbit which would take it dangerously close to the sun. If he didn’t warn the pair, they would be roasted alive by the rays of the approaching sun. 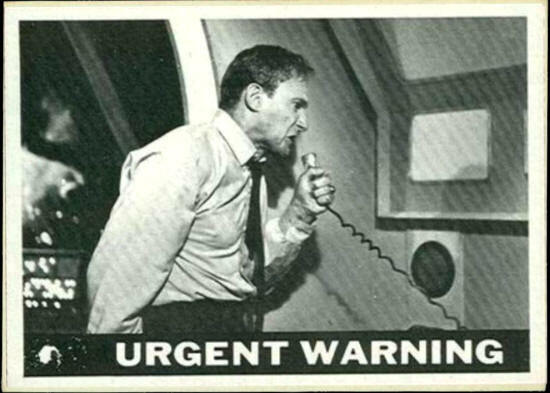 Dr. Smith tried desperately to convey the frightening news to the pair, but they couldn’t be reached by radio. 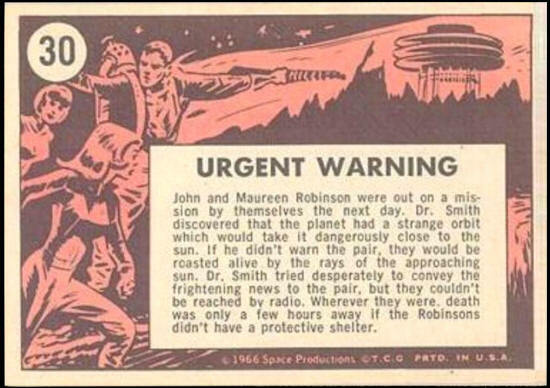 Wherever they were, death was only a few hours away if the Robinsons didn’t have a protective shelter.